April 6, 2012. Poster for a finishage of Disobedience. 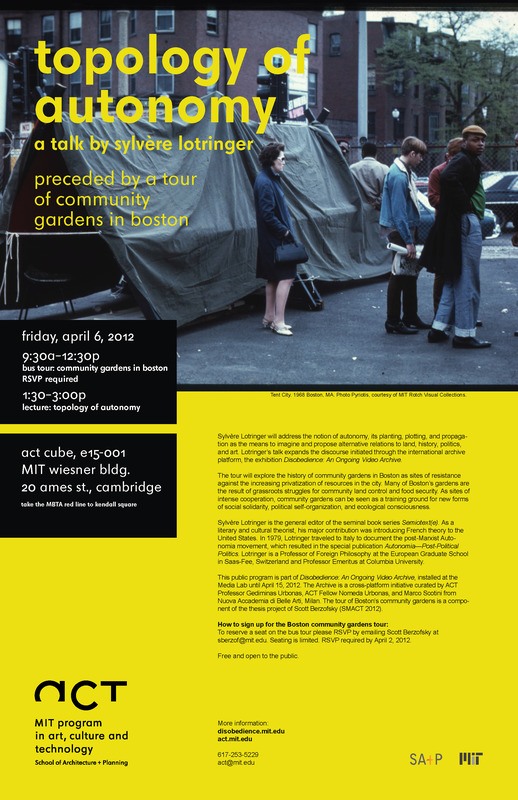 An ongoing video archive at MIT: a buss tour of community gardens in Boston and a talk by Sylvere Lotringer.